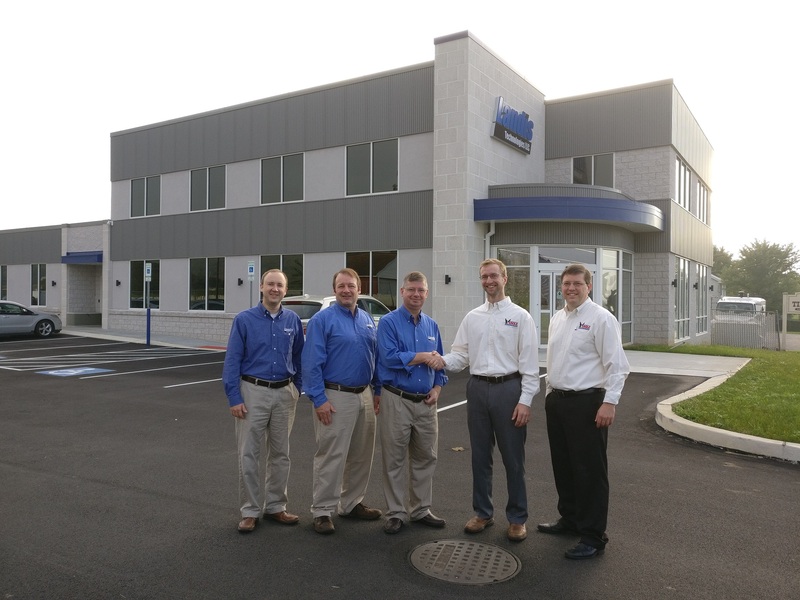 Lancaster PA – October 5, 2018 – Landis Technologies and Eagle Business Software have entered into a strategic partnership where Landis will deliver IT products & services to Eagle Business Software customers and the Esh Computer Center IT group will join Landis Technologies. Through the partnership, Eagle Business Software and Landis Technologies will deliver strong IT solutions to meet the needs of businesses across many industries. Eagle will continue to sell IT solutions optimized for EBMS and these IT solutions will be designed, delivered and supported by Landis while Eagle will deliver the EBMS ERP software systems. Eagle develops, implements and supports the EBMS ERP system for small to mid-sized businesses, to simplify and automate their business processes and to enhance financial reporting capabilities. With the industry and technical expertise of our partners, clients benefit from having two experienced and focused teams at their disposal to create solutions and provide support for their IT environment as well as the ERP system. Eagle Business Software, a d/b/a of Esh Computer Center has developed, implemented and supported the ERP software known as Eagle Business Management Software (EBMS) since 1993. With over 50 team members, they serve over 400 businesses in the US and Canada. Come see us at our new office! November 16, 2017, Ephrata Pennsylvania – Landis Technologies is announcing that Colima’s new client application product, Remeo, now enables all Skype for Business end users to easily change a colleagues’ forwarding, teams, delegates & presence powered by Landis SEFAUtil Server backend. This enables changing settings on behalf of other users for all users and Boss Admin scenarios based on role based AD security. “Above all, Landis’ distinctive approach to sharing its own knowledge with the broad Skype for Business community free of charge and at great expense has always impressed us and demanded respect,” says Matthias Engelmann, Managing Director of Colima. In addition to the fact that our products simply complement each other very well, one of the decisive points in favor of a partnership was the fact that we have very similar ideas about the business ethics to be practiced.”, says Matthias Engelmann, CEO at Colima. The complete solution can be purchased from Colima today and is priced competitively for systems from 50 system users to the largest enterprises. For organizations already using Landis Technologies SEFAUtil Server, there are no additional technical requirements, just install the Remeo client application to have the colleague settings change capability. Colima manufactures particularly easy to use software products – especially add-ons for Microsoft’s Skype for Business. Building on nearly 15 years’ experience in the market for Automatic Call Distributors (ACDs) Colima offers high-quality, modular products for professional communication channels. November 16, 2017, Ephrata Pennsylvania – Beginning today, Landis Technologies will be giving a free, full, unlimited, license for Landis SEFAUtil Server to all Skype for Business MVP’s and select community influencer’s for NFR & internal use. Also, moving forward there will be a “Community Edition” that is not a “handicapped”, limited feature license. Instead, who qualifies for a free version will be dependent on total system users. There is a free, full, unlimited, community supported license of Landis SEFAUtil Server available for all Skype for Business Server systems with less than 50 system users. This free license will accommodate small organizations, proof of Concept & labs. For a comparison chart of old and new licensing models, click here. Landis Technologies has released, SEFAUtil Server for Skype for Business, a product which enables system administrators and end users to change settings like forwarding, delegates, team call, contact list & presence on behalf of other users. This can be done by system administrators using PowerShell or end users using Landis Technologies Skype for Business Certified attendant console, Attendant Pro. Landis Technologies strongly supports the Skype for Business community and is providing a completely free Community Edition of SEFAUtil Server as well as an Enterprise Edition that includes more features and enterprise support agreements. Microsoft UC Partners & Skype for Business MVPs qualify for free Enterprise NFR edition. Initial configuration of User Settings when no other system involved. SEFAUtil Server also lights up more functionality inside the Landis Technologies’ attendant console solution Attendant Pro. Receptionists and admins can change settings on behalf of other users right from the clean Attendant Pro user interface or dedicated Boss Admin software. Download SEFAUtil Server here. Detailed PowerShell and instant message bot command documentation available here. Landis Technologies is at Microsoft Inspire 2017 in Washington DC and presenting all their products for Microsoft Skype for Business & Office 365 Cloud PBX: Attendant Pro attendant console & Call Recording for Office 365 & Skype for Business and SEFAUtil Server. Landis Technologies is very pleased to partner with Microsoft to continue the success in bringing an easy to implement attendant console to the European market and over 40 countries worldwide. 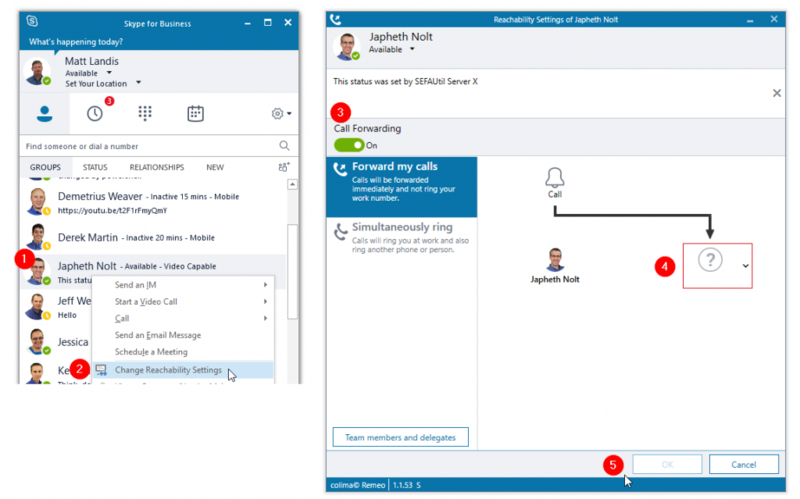 That Attendant Pro switchboard for Skype for Business has come to be known as a trusted reception console solution for global Skype for Business enterprise voice rollouts. Landis Technologies founder and Microsoft Skype for Business MVP Matt Landis is a speaker at CeBIT 2017 & will present at the Microsoft Skype for Business pavilion on “Completing Your Skype for Business Enterprise Voice Implementation with an Attendant Console” on 20 March 2017 at 3-3:30PM, and 21 March 2017 at 12:00-12:30PM. Stop by as the Landis team is interested in discussing your roll out of Skype for Business enterprise voice at Hall 12, Stand E24. Or to contact our team email sales@landiscomputer.com. 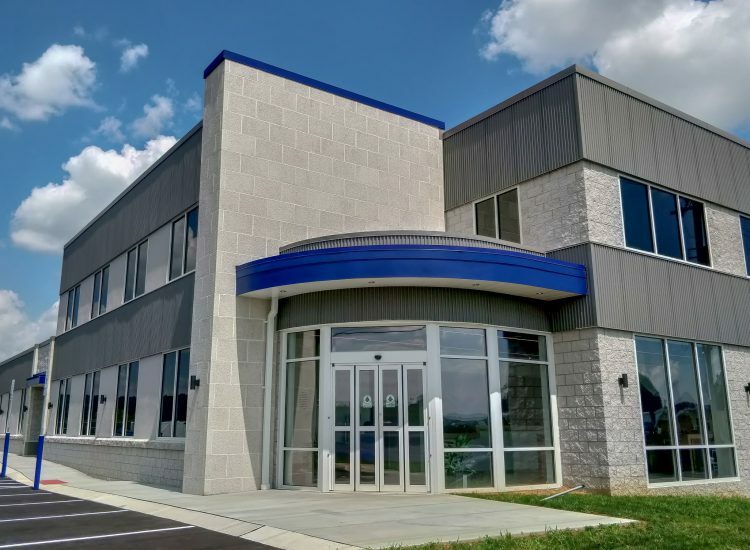 Ephrata, PA – Landis Technologies LLC is a Microsoft Gold Certified Communications Partner who provides premiere Microsoft Skype for Business consulting services and products to Microsoft Partners and customers in over 30 countries worldwide. Landis Technologies’ Attendant Pro attendant console for Skype for Business Server & Office 365 is trusted by many of the premiere Skype for Business partners around the world and is trusted by thousands of users in various industries. 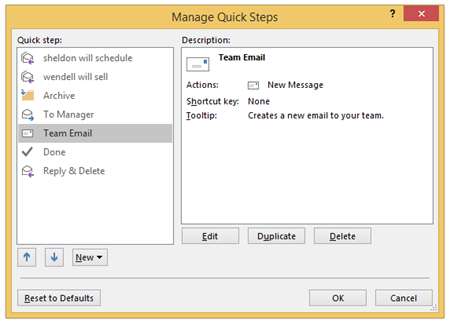 Microsoft Outlook has had “Quick Steps” that allows users to make shortcuts for common email tasks for some time. Now Landis Technologies brings “Quick Steps” to Skype for Business communication tasks to make users more efficient when communicating using Attendant Pro for Skype for Business. You could think of “Quick Access Shortcuts” as Macros for the Skype for Business client. 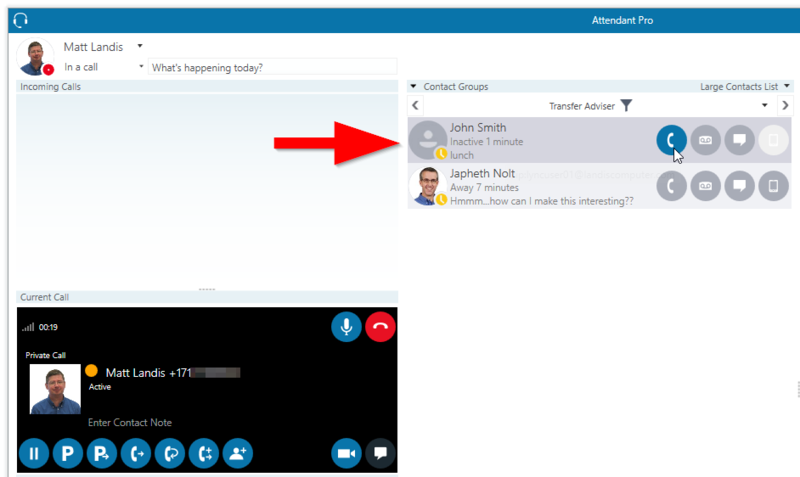 What kind of Skype for Business communication tasks can be made into a Quick Access Shortcut? Every shortcut can be assigned a user definable keyboard shortcut, and the shortcut can be application or global scope. This mean that you can, for example, change your Skype for Business presence with a shortcut while working in Word or Excel. Efficient! How do you setup a Quick Access Shortcut? Just select the function you want to automate and then define things like name, icon, hotkey and task. Now tasks are as efficient as possible, just one click or keystroke from where ever. If you want to try out Attendant Pro Quick Access Shortcuts, it just takes a minute. Note: See more details & get free Trial of Call Recording Pro for Skype for Business & Office 365 Cloud PBX, click here. 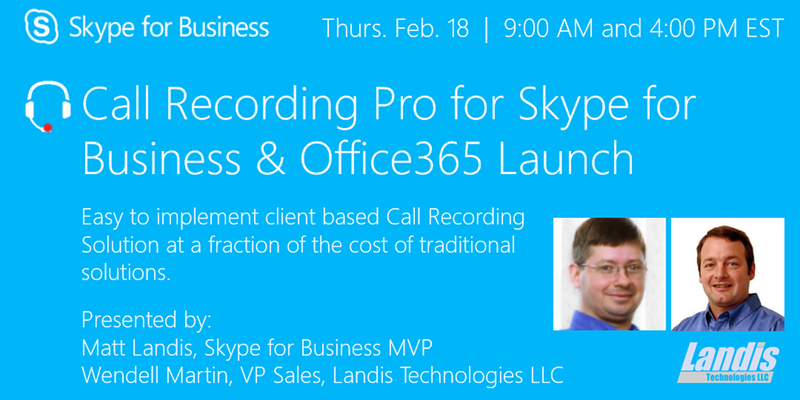 We welcome to our Call Recording Pro for Skype for Business & Office 365 Launch Event on February 18, 2016 at 9AM & 4PM EST. Presenters will by Skype for Business MVP Matt Landis and Wendell Martin. We will demonstrate Call Recording Pro and will be around to hear your feedback and answer any questions you might have. Call Recording Pro is an easy to implement client based Call Recording Solution at a fraction of the cost of traditional solutions. Well suited for customer service, training and abusive call recording. 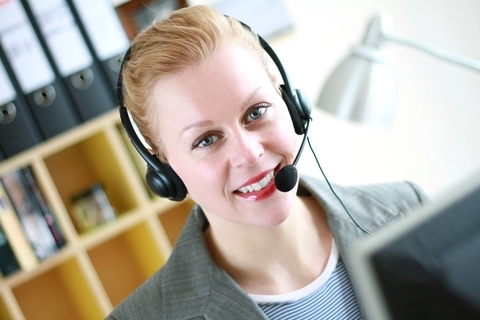 Our call recording technology is already included in our Attendant Pro attendant console solution which is installed in enterprises in over 27 countries. We are now making Call Recording Pro available as a standalone call recording solution any Skype for Business users. To get more details click here.